The art of diamond cutting involves the transition from a loose uncut diamond stone to a faceted gem and requires a tremendous amount of skill and a variety of high end tools. The type of cut is generally decided on two factors, the market and the natural shape of the stone. The cutter will take both of these factors into consideration when deciding which cut they are going to action. Obviously they will want to get the most weight out of the uncut diamond, but at the same time, they have to take into account the cut grade and think about the value. Some cuts are fairly simple, whereas others are far more complex, take more time and are, therefore, rarer and worth far more (as long as the ratios are in proportion and have a high cut grade). The main aspect of the process is to find the perfect balance, and you need to keep as much of the original stone as possible. But if you have a large stone with a poor cut, your diamond is more likely to resemble a dull piece of glass. The quality of a cut is what gives us the flawless image, clarity and sparkle that diamonds are renowned for. 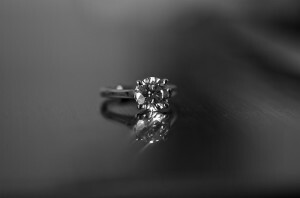 To add to that, if you have a larger stone of say 1 carat and a smaller stone of 0.8 carat but with a high grade cut, you will often find the smaller carat diamond will appear larger. t diamonds for women out there. Here are some of the more, unique diamond cuts. The emphasis on sustainable development of the industry in this region. The mining is carried out to some of the highest environmental standards in the world, and nearly every diamond from the region can be tracked to its source. The Cento cut is a fairly new type of cut, which has been patented by the jewellery creator, Roberto Coin. This style of cut goes by the name the Roberto Coin Cento cut diamond. It is a modified variation of the brilliant cut, but the element that makes it unique would be the amount of facets that it has, which is 100 to be exact. It is a very complex cut, but when complete to a high standard shows exceptional brilliance and fire. If you are looking to purchase this diamond, you will generally only be able to find it at high-end stores in a variety of jewellery types. As it is patented to the Italian Designer, every time you purchase one of his designs, you will receive his signature, Robert Coin ruby. The Kotler cushion cut is a patented variation of the cushion cut and is one of the most desired cuts around. Its combinations of colour clarity and exceptional proportions make for a very special Diamond. This cut still keeps the original lines of the cushion cut, but the difference comes with the unique pattern of the facets. Finding these diamonds will be a little trickier as only select high end establishments offer them. If you are considering purchasing one of these diamonds, then you should really buy from someone who has great knowledge about diamonds, so head down to an established dealer on your high street. The name given to the Crosscut diamond comes from the way the facets crisscross, which is why this unusual cut is increasing in popularity. You can acquire the crisscross cut in a variety of styles including Round, Cushion, Asscher and Emerald, so you have a good variation of this cut. The criss-crossing of the facets sets a unique style to each diamond and adds astounding light dispersion to complement its natural splendour. These are just a select few of my favourite cuts and I believe that they have some great beauty over some of the generic cuts that are available. They make the diamond unique, which is a quality I believe many are looking for when purchasing their diamond. For these and other cuts of the brilliant diamond, it pays to visit DiamondQueensland.com.au because it will provide you with more valuable information about this most precious gemstone.